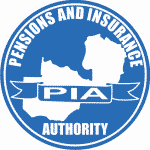 The Pensions and Insurance Authority (P IA) is the regulatory and supervisory Authority for the Pensions and Insurance Industry in Zambia. The Authority supervises and regulates entities operating in the pensions and insurance market These include, among others; insurance companies, reinsurance companies, insurance intermediaries, pensionschemes, fund managers and fund administrators. Reporting to the Registrar, the Board Secretary provides secretariat services to the Board and legal counsel to the Authority. Attends to all board secretariat functions including preparing meeting agenda and schedules, minutes, reports, follow-ups as well as providing guidance on Board procedures when required. Advises the Authority on all legal matters to ensure that the interests of the Authority are safeguarded. Managing the Legal Services Unit, including the management of personnel and budgets. Advocate of the High Court for Zambia with a valid practicing certificate. Applicants meeting the above qualifications should submit an application letter, certified copies of academic and professional qualifications and updated Curriculum Vitae to the address below. The deadline is 18th April, 2019.